As the dust begins to settle across the nation after the 2013 election, the significance of what has been achieved in the electorate of Indi will continue to be a talking point for some time to come. It will no doubt be analysed from multiple positions: by engaged and disgruntled voters in other electorates who may seek to use the Indi model as a playbook for their own democratic awakening; by party political campaigners keen to adopt some of the secrets to build their own flagging supporter base; and maybe, hopefully, by Members of Parliament who recognise that a sitting member holding a ‘safe’ 10% margin losing her seat is a lesson to all. I don’t pretend to have the sort of political insight that can provide all the answers here, but as a local born and bred, and someone who was very involved in this election as a candidate, I offer a few observations about some of the things that provided the catalyst for this change. I would venture to say that Mrs Mirabella was never especially popular in her electorate, but a deeply entrenched conservative history and a lack of any serious alternatives meant she had enjoyed a relatively uncontested run. She has clearly done very little for the electorate in her time as our elected representative, but then to be fair she has been in opposition for much of this time and in a very safe seat, which ensured that neither party were likely to be jumping at spending money in Indi. Even this may have been overlooked, had she been more engaged locally, sympathetic to her people’s needs, or willing to show up other than when their was a plaque to be unveiled. It had become very clear that her main focus was on her career and the Liberal party’s role at a national level and not on representing her electorate. I can’t speak for others, but this is certainly what motivated me to stand as a candidate. As is often the case, luck and timing can play a huge role. As Mrs Mirabella became more visible in the media so to did her social ineptness. Her poor response to Simon Sheik’s faint on QandA was just one example of this. What really turned things were Tony Windsor’s comments about her on Insiders, early on in the campaign. At this point it seemed that everyone suddenly realised how much they didn’t like her. I will leave it to readers to decide how much of a role the media played in fanning this idea, but it was certainly after this that people’s responses began to change and the drive to remove her gained momentum. This was the turning point for Mrs. Mirabella. How she responded here could have changed the outcome. Instead of looking at these things and seeing that there was room for her to change and build bridges with her people, and in particular her own local liberal base, her response to this very high profile attack and the growing challenge by the V4I candidate Cathy McGowan, was to become defensive, elusive and at times dishonest. This really only served to heighten the determination to oust her, turned the media against her, and even stirred a nation-wide social media campaign egging-on her downfall. I don’t think voters in Indi expect our MP’s to be perfect, or to be able to achieve everything they want for their electorate. I don’t think they, for the most part, care how much power they wield in Federal parliament. I think most voters look for someone who shares their values, their concerns, and their hopes. They want someone who is ambitious enough to try, persistent and not easily deterred, but humble enough to admit when they fail. They want someone who will take the time to listen to them even if they don’t agree or there is nothing they can do to help, and most of all we want someone we can look to in parliament and feel proud of as one of our own. In twelve years Sophie Mirabella had failed to learn these lessons and she paid the price. The people of Indi have seen these qualities in Cathy McGowan, and I am very pleased that she will be representing me and Indi in the 43rd Parliament. I hope that the renewed energy and engagement that has been stirred in Indi continues on and spreads across other electorates and elections. I decided to stand as a candidate in this election because I believe that as individuals we can make change and have a responsibility to do so. What has happened in Indi has shown that we should never doubt the ability of a few dedicated individuals to change the course of history. One can only hope this much deserved win will be repeated many times over come the next election which will reenforce the fact that this was not a whimsical happening but a movement that will blossom now the seed has been sown. Well said Jen. You nailed it on the head. I don’t recall Sophie EVER saying anything about “her electorate” in Parliament. The other thing that made me think twice was the sheer desperation of the campaign in which she lead. We received 8 letters from her. The first was the usual “Hi I’m Sophie…here’s what we are doing for Australia” then as momentum for Cathy grew instead of attacking Labor and it’s policies they led with the “An independent is useless” Don’t support a Labor/Greens government. Then on polling day there was the posters and placards….they took up every conceivable spot with warnings about how an Independent couldn’t pay back debt right through to a rather creepy one of Kevin Rudd and Julia Gillard congratulating each other when the Carbon Bill went through with the words “Remember” above them. 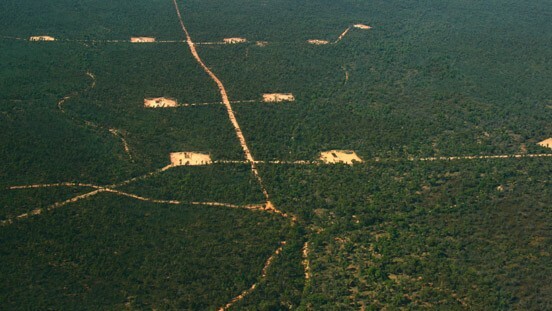 Someone to say how our trains sucked or how the water rights we get are ridiculous or how too many industries up here are closing down and forcing people out of work. We are a growing population we need up to date hospitals, doctors that you don’t have to wait two weeks to get into see. We need police to control the growing crime issues in the area. We need broadband that works and a mobile phone service that doesn’t only work if you stand in the back corner of the house paddock. We are not naive to think we will get ALL these things but surely we deserve to have someone who we feel support and understands these needs. To not accuse us of being stupid and having the wool pulled over our eyes. Even now Sophie refuses to talk, referring all questions to LNP HQ, even now there has been no thanks offered to her tireless staff or volunteers, even now the people of Indi continue to be ignored by Mrs. Mirabella and one day in the not too distant future I think the people of Indi will be able to ignore her as she will no longer be a relevant part of our community. Nice reply Jackie, plenty of true passion! Well said Jen, and it was also great to be partof a campaign where although we were all rivals most of us made the effort to be pleasant and cooperative with each other despite some clear policy differences and opinions. 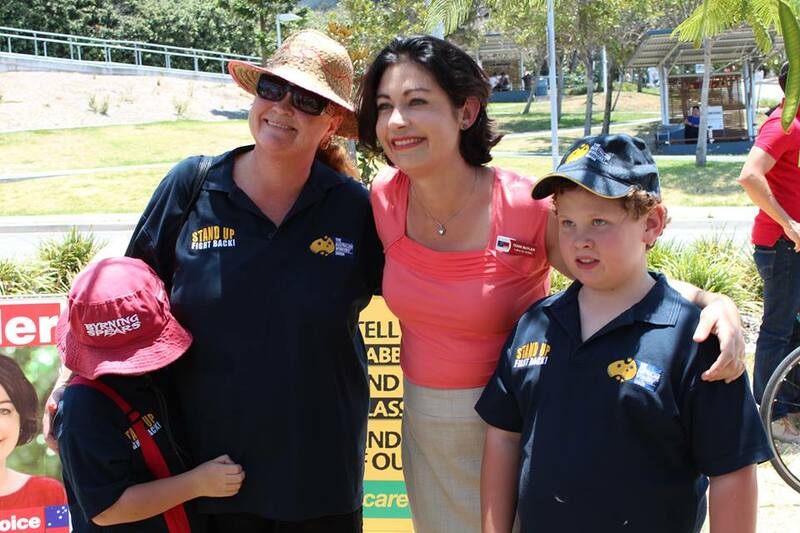 The culture of political campaigning itself was different in Indi , not just the result . The para starting ” I think most voters” should be sent to every politician and soul be politician. Hurrah.The prayers of many people ,from a diversity of political parties,have been answered. 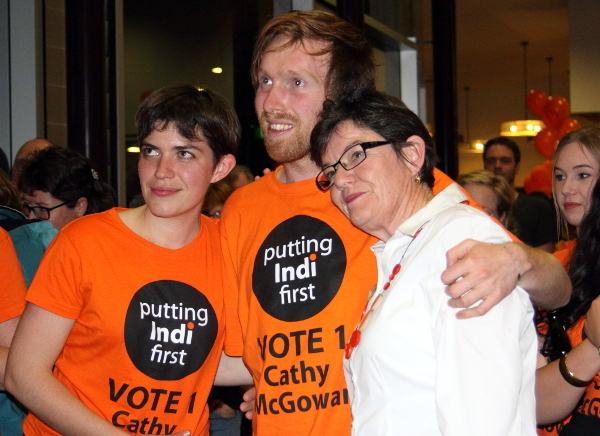 Good luck Cathy McGowan and Indi. “…and most of all we want someone we can look to in parliament and feel proud of as one of our own.” Indi is not my electorate but I would be proud to have Cathy as one of my own. Good on you Cathy and congratulations to all the people that helped with her election. I agree with pjf commenting on the blossoming movement. well — except for the 45% of the electorate that put her as first preference. A considerable number in the electorate had become so disenfranchised that voting for Ms Mirabella was just an automatic response. Next time round McGowan’s vote will increase and a fair proportion of the 45% will change. An excellent description of the events of the last number of years and throughout the campaign. You have plenty to offer the community of Wodonga Jennifer, you must bat on and fight for what you believe in. “They” have, except in very rare cases, no interest in engaging with you one on one, or even one on several hundred. After all, cattle are stupid and should be left to feed on the weeds and the sparse grass in the back paddock. “They” think engagement with you means hiding in front of a camera and a microphone. That is where “their” comfort zone is, where ” they” cannot and will not hear you. Cattle have to be tended every day and it is too late to fatten pigs on market day. Thank you Ms McGowan and all the others who are making the effort to transform our shamocracy into a democracy.